I wanted to say this before President Barrack Obama takes the stage tonight at the Democratic National Convention and all attention are focused on him. This is because I do not want to be seen as wanting 15 minutes of fame by milking the attention around the President. 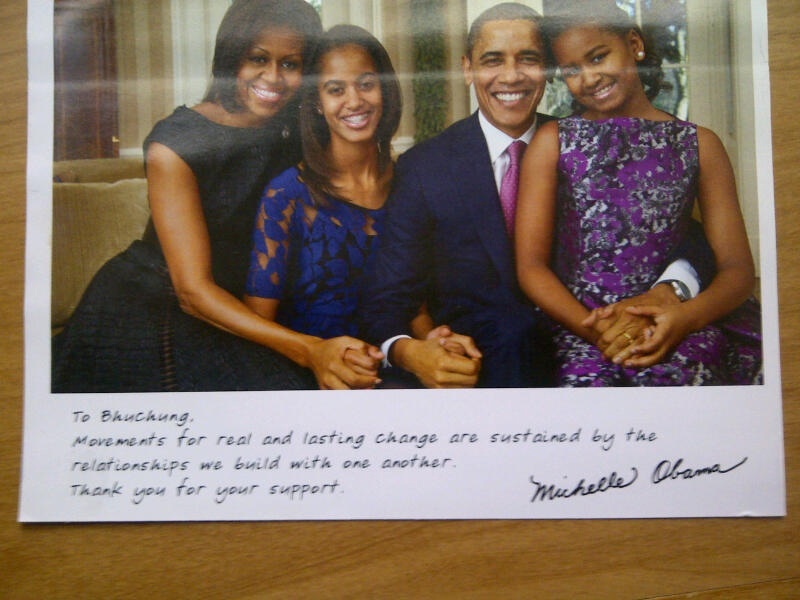 In sooth, I have a very close relationship with President Obama as well as his lovely wife, Michelle Obama. I normally do not boast about my friendship with luminaries, whether they are Hollywood stars or prominent businessmen or even VIP politicians. I am not known for revealing much of my personal side, including who I have dinner with or who are on my phone contact list. Here it is. I place before you, two concrete evidences that corroborate my claim. 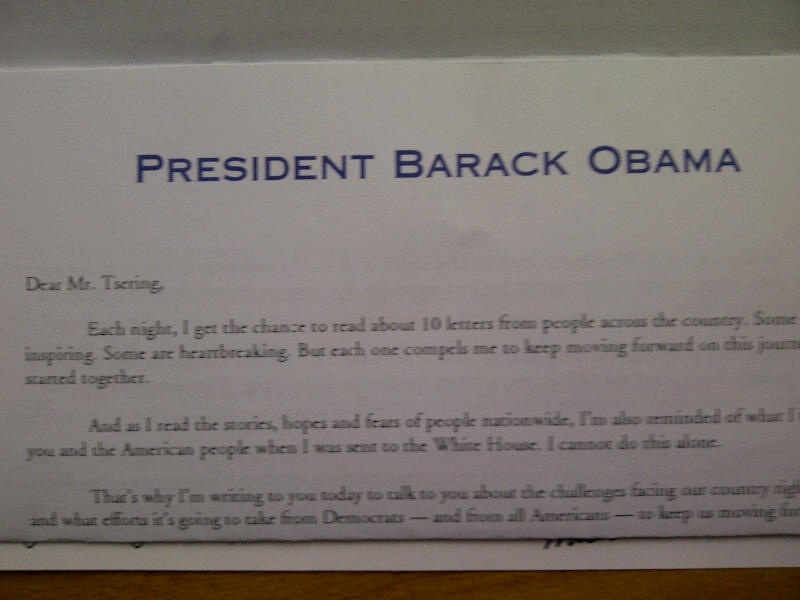 First is one of the letters that I receive from President Obama. As he should be, he is formal and you can see that he addresses me as, “Dear Mr. Tsering.” The letter gives me an update about his work and he hints that letters from mine are among the “I get the chance to read about 10 letters from people across the country.” I guess that he is being formal in addressing me because he does not want to let the senders of the other nine letters feel bad. I don’t mind this for I know that Michele (I mean Michele Obama, the first lady, the one who did a splash at the Democratic Convention the other night) knows the truth. Michele is the one who gives me the more personal side of the Obama family information. She even sends me photos of the family, which is my second evidence. As you can see from her handwritten message to me, she addresses me informally as “To Bhuchung.” I like that. So, there you have it. My family is close to the Obamas and if you need any help from them, just let me know.